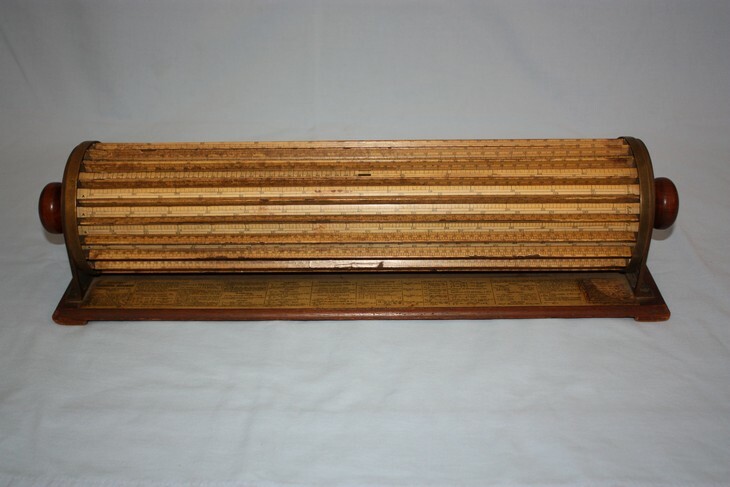 A rare Thacher's 4012 Calculating Instrument, made in the 1880s. Some paper loss along the edges as is expected as this is 130 years old. 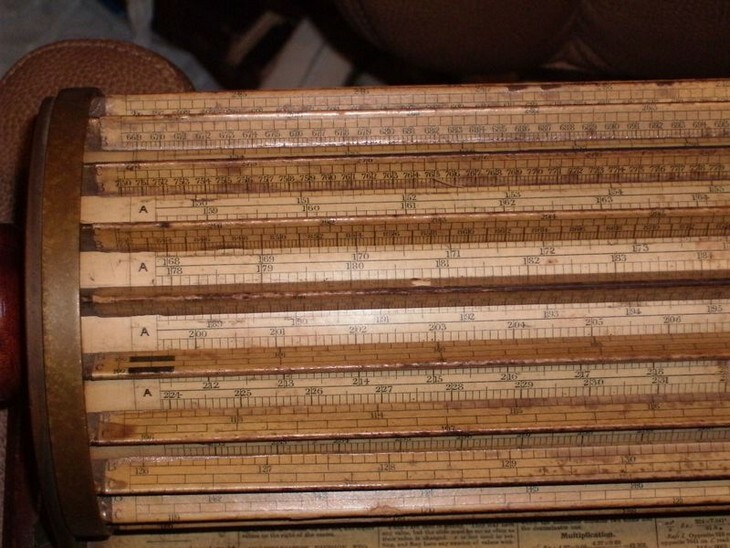 This is about 23 inches long and 5 1/2 inches tall. D Scale length: 9200 mm. Significant digits: 4.6 to 5. Copyright Â© 2012, Dave Hoyer.